Even though tuition is almost completely free here, Norwegians whose parents did not go to college are just as unlikely to go themselves as Americans whose parents did not go to college. This conundrum demonstrates a critical point that’s widely misunderstood, according to higher-education experts: money is not the only thing keeping first-generation students from seeking degrees. Even though it’s essentially free, only 14 percent of children from the least-educated families in Norway go to college, compared to 58 percent of children from the most-educated families. 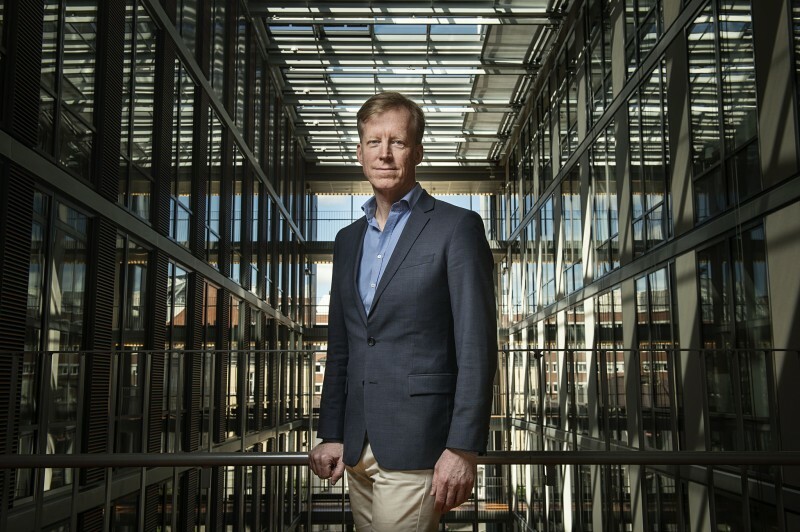 “This is almost a laboratory case, where we get to control one factor — namely, cost — and see what happens,” said Rice, who in August will take over as head of Norway’s Oslo and Akershus University College. And what happens is that — even though it’s essentially free — only 14 percent of children from the least-educated families in Norway go to college, compared to 58 percent of children from the most-educated families, according to an analysis by a Norwegian education researcher, Elisabeth Hovdhaugen. That’s almost exactly the same proportion as in the United States, where the cost of college is borne largely by students and their families, and where the Organization for Economic Development and Cooperation reports that only 13 percent of children of parents without higher educations end up getting degrees themselves. “I don’t think that people do understand it’s not about money,” said John Gomperts, president and CEO of America’s Promise Alliance, a coalition of organizations trying to steer more young people to and through college in the U.S.
It’s a huge issue, considering that fully one-third of five- to 17-year-olds in the United States have parents who did not go to college, the College Board reports, at a time when policymakers are trying to increase the number of Americans with degrees. They’ll be needed to fill the 65 percent of jobs by 2020 that will require some sort of college or university training, according to the Georgetown University Center for Education in the Workforce. The Norwegian system eliminates some obstacles in addition to cost. Except for kindergarten, primary and secondary schools are funded nationally, not locally, for example, so there’s ostensibly no difference in education quality between higher- and lower-income towns and cities, as there might be between wealthy suburban and poor urban districts in the United States. And the Norwegian funding system is very easy to understand, while the American system of grants and loans is complex and often confusing, even to families with college-going experience. But the principle of social equality in Norway also means that there are no programs providing academic support to first-generation or low-income students in college, although there are a few for immigrants and women in fields in which they are underrepresented. Also, because wages remain high for blue-collar occupations, she said, there’s less of a financial incentive for some Norwegians to bother with college, since they can get jobs more quickly, and earn almost as much money, working as plumbers or electricians. American advocates for higher education worry that a similar thing might be happening in the U.S., as people increasingly question the return on investment for degrees; a new federal report shows that the average annual earnings of 25- to 34-year-olds with bachelor’s degrees actually fell from $53,210 in 2000 to $46,900 in 2012, even as tuition continued to rise. American students’ scores on the SAT and other college entrance exams also correlate with the level of their parents’ educations; the better-educated a student’s parents, the higher he or she scores on the tests, according to the College Board, which administers the SAT. Since education affects income, children whose parents didn’t go to college are also unlikely to be well off, said Margaret Cahalan, vice president for research at the Pell Institute for the Study of Opportunity in Higher Education. And families that are less well off are statistically more likely to face health problems, problems with the law and unplanned pregnancies, among other challenges. Students from such backgrounds “are going to be on average facing more obstacles than a student who comes from a more advantaged background,” including nonfinancial ones, Cahalan said. With a third of U.S. primary and secondary school students now coming from families without higher educations, the most important lesson is that cultural, and not just economic, considerations may keep many of them from going on to college. 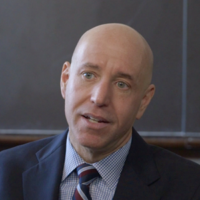 Young people from backgrounds such as these, when considering whether or not to go to college, often “don’t even really know that they can go to the library and borrow books” instead of buying them, said Gomperts.